Early this morning I was greeted by this email from Ephraim and Rimona Frank, of Israel. Parts of it really resonated with me and I immediately wanted to share it, but I had to head to work. 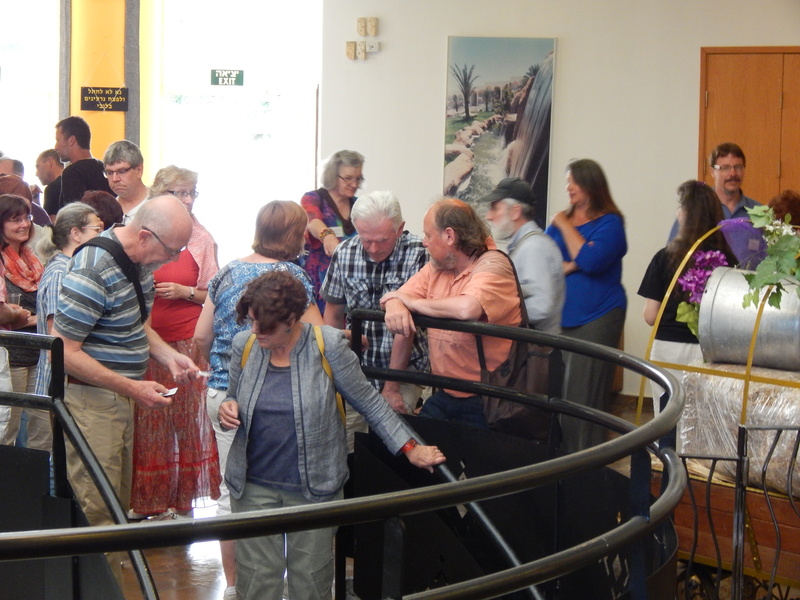 Last night when we met at Kibbutz Merchavia in the Jezreel Valley with Craig and Jan O’dell and others from the Gates to Zion congregation to celebrate the coming 9th month. Craig shared with us a scripture from Zechariah that was actually uttered on the 9th month. We all really felt the impact of the Spirit telling us that it is a word for today’s redeemed body of Yeshua, especially as we move toward the restoration of our national identity. “If a kingdom is divided against itself, that kingdom cannot stand. And if a house is divided against itself, that house cannot stand” (Mark 3:24-25). I might add a nation divided against itself also will not stand. “Now in the fourth year of King Darius it came to pass that the word of YHVH of the Armies came to Zechariah, on the fourth day of the ninth month, Chislev… “Thus says YHVH of the Armies: ‘Execute true justice, show mercy and compassion everyone to his brother. Do not oppress the widow or the fatherless, the alien or the poor. Let none of you plan evil in his heart against his brother’” (Zechariah 7:1; 9-10). Tragically our ancestors refused to heed, shrugged their shoulders, and stopped their ears so that they could not hear. “Yes, they made their hearts like flint, refusing to hear the Torah and the words which YHVH of the Armies had sent by His Spirit through the former prophets. Thus great wrath/anger came from YHVH of the Armies” (Zechariah 7:11-12). We know that this behavior displayed by our ancestry can and does get passed along in the generations, unless there is some serious repentance and heeding in obedience to these words from the prophets. Some of you may have received the following already (my apologies). The return to our national identity as b’ney Yosef (the sons of Joseph), is becoming more and more crucial every day. The one world agenda, with its ethnic obliteration ideology and anti-Semitic bend, and Islam with its goal of doing away with Israel as a nation, as described prophetically in Psalm 83 and Ezekiel 35, are all efforts to destroy our identity and our very existence. These attempts, though, ought to propel us all the more to cooperate with the Spirit of Prophecy and to build up, unite and reconcile, getting on with the task of fostering relationships and encouraging one another. This includes reaching out to other believers in Yeshua (Who is the Spirit of Prophecy, (Rev. 9:10). In less than one month the B’Ney Yosef Region 35 Conference will convene in Denton, TX! Just one month ago this conference was merely an idea thrown out in a conversation at our Feast of Tabernacles celebration. Now we are one month from the event itself. Registration is in full swing. There is still plenty of room, but remember to register and pay by the deadline of November 28 to secure your place in this historic undertaking. To register please visit our website at: http://bneyosef35.com/2015conference/. We invite all conference participants to take part in this discussion by submitting questions for the panelists to consider. To submit a question you must be a registered conference participant. Please email your question to bneyosef35@gmail.com, with the words “Panel Question” on the subject line. All questions must be submitted by 6:00 p.m. on Thursday, December 3, 2015. The next important item is that we are able to welcome ministry partners to display their resources at the conference. Those who would like to do so must coordinate with us ahead of time to make sure we reserve space for you. If you would like to set up a display for your ministry or organization, please email us for details. There are two important things to remember about ministry displays. First of all, please wait until after Shabbat is ended on Saturday evening to sell books and other resources. Second, since the focus of the conference is on repentance and reconciliation in the interest of doing our part in YHVH’s Kingdom building process, we ask that the ministry partners and resources contribute to this focus. Finally, we ask for prayer! Our planning and coordination team is very small, and so far we have been able to handle the task. We will need a few volunteers to help with jobs at the conference, and may need some help before then. Perhaps the biggest need is finding someone to make video and audio recordings of the key presentations and help us make them available afterward. If you are able to help, or know someone who can, please let us know! Thanks once again to everyone who has expressed interest in the B’Ney Yosef Region 35 Conference. Please help us get the word out by sharing this update, and be sure to register soon to reserve your place in Denton! This entry was posted in A Thought... and tagged Aliyah, Bney Yosef, echad, Ephraim Frank, restoration, united2restore. Bookmark the permalink. Two comments. OK, a kingdom divided against itself cannot stand. Generally, true.But you are missing Matt 21:43. “The kingdom of God is taken from you (the Jews) and given to a NATION bringing forth the fruits of it.” This has been happening since the end of the times of Captivity of Israel. The captivity started in BC741-BC721, and ended 1780 to 1800AD, (exactly 2520, or 7 times of 360 years later) shown by the major missionary outreach, primarily by Britain and America. I also note that the only part of the House of Judah NOT taken captive then was that part that took refuge in Jerusalem, were later taken to, and returned from, Babylon.